Permaculture is definitely reaching the mainstream gardening world, and that’s great news! 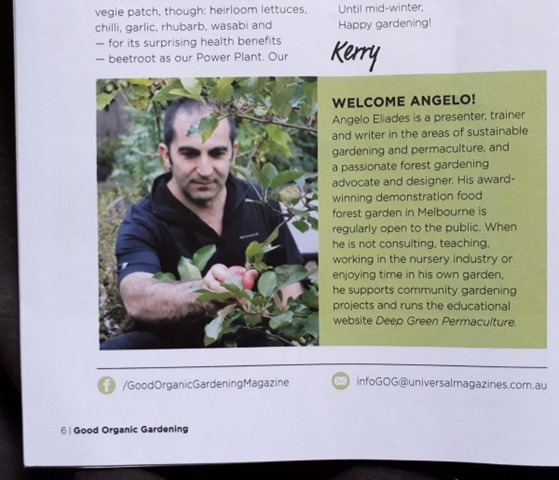 I’m now the permaculture writer for Good Organic Gardening Australia magazine, where I started mid last year with my first article ‘Permaculture Explained’ appearing in the May/June 2018 edition pictured above. It’s a real pleasure to be able to bring the permaculture perspective to the organic gardening world in Australia. 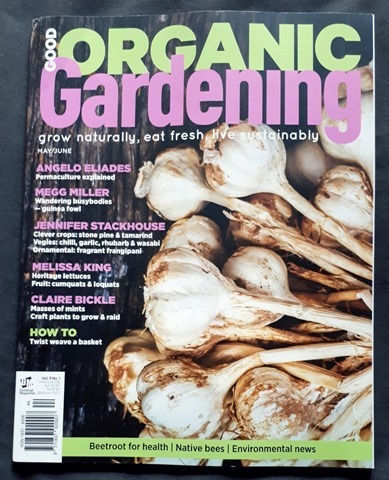 Check out my magazines articles at your local newsstand if you get the chance, where I’m exploring a different permaculture design principle in each edition from a practical application perspective, teaching gardeners how to incorporate permaculture principles in their gardening practices! If anyone’s been wondering, this is the reason why I haven’t written too many articles in the last few months, but now that I’m back on track with all my writing work, there will be lots more articles here too, posted weekly, so stay posted, or subscribe for updates! This entry was posted in Permaculture, What's New! and tagged Angelo Eliades, Good Organic Gardening Australia magazine, permaculture writer. Bookmark the permalink. Glad to hear the news. See? Times are a-changing, and people are listening. Wishing you all the best in 2019! Congratulations Angelo. Always love your advice when I’m visiting BAAG.